At the current time, ENDONORM® is undergoing Phase II clinical studies. Phase I was completed in 2005. The information on the preclinical studies of the drug and the detailed description of the new chemical compound Albinin® isolated during these studies and included as the main active ingredient in ENDONORM® are an exclusive intellectual property of Fitopanacea. This information is not intended for public dissemination and may be disclosed to an interested party only upon a separate agreement. At the initial drug development stage (2005), ENDONORM® was tested in 32 volunteers with thyroid diseases. All the treatment was a recommendation only. When the patient agreed to the treatment, an optimal tailored therapeutic regimen was selected for the individual patient. To avoid uncontrolled effects and ensure optimal treatment efficacy, discontinuation of any chemical therapeutics was recommended. Gender and age groups of study subjects. Women: 28, men: 4. Before the age of 20 years: 4 subjects, aged from 21 to 30 years: 4, aged from 31 to 40: 7, aged from 41 to 50: 9, aged from 51 to 65: 8. Primary endocrinologist counseling resulted in a diagnosis of hypothyroidism (primary) in 3 patients, hyperthyroidism (Basedow – Graves disease, diffuse toxic goitre, nodular toxic goitre) in 12, euthyroid goitre (nodular / multinodular) in 8, and autoimmune thyroiditis (Hashimoto thyroiditis) in 9. The disease was diagnosed for the first time in 4 patients; 13 patients had been ill for less than one year and 15 for more than one year. Many patients presented with manifest clinical symptoms characteristic of these endocrine disorders. The presence of any concomitant conditions was taken into account when selecting a treatment course and a therapeutic regimen. Results of completed studies have demonstrated that the administration of cinquefoil dry extract in combination with beggars-ticks and liquorice extracts, as well as Laminaria powder, effectively, and with statistical significance, eliminated the symptomatic manifestations of dysfunction, caused no adverse drug reactions, and returned the thyroid to its euthyroid state. Afterwards, all patients repeated the course of treatment from time to time to prevent recurrence of the disease. No disease relapses were observed in the patients, which allowed us to make a conclusion of a high efficacy of ENDONORM® in the prophylaxis of thyroid diseases. Patient N., female, born in 1957. Diagnosis: nodular goitre, primary hypothyroidism. V total 17.08; Isthmus 4.0. V total 14.8; Isthmus 5.0. During the first treatment course, the patient took ENDONORM® in the following regimen: 1 capsule twice daily for one month, followed by 1 capsule three times per day for the second and third months. Patient Yu., born in 1981. The first course of ENDONORM® therapy was given at the following dosage: 1 capsule twice daily for one month, followed by 2 capsules three times per day for the second month. Patient D., female, born in 1970. Diagnosis: primary hypothyroidism. Had been ill for more than 2 years. V total 12.1; Isthmus 0.3. After first treatment course: FT3 4.9; FT4 14.0; TSH 5.2; Anti-Tg 356; Anti-TPO 98; no ultrasonography was performed. V total 10.2; Isthmus 0.3. The first course of ENDONORM® therapy was given at the following dosage: 1 capsule twice daily for one month, followed by 1 capsule three times per day for the second month. The second course of ENDONORM® therapy was given at the following dosage: 1 capsule once daily for three one months. Patient L., female, born in 1988. Diagnosis: nodular microfollicular goitre with haemorrhage. The patient was referred for thyroidectomy, which she refused. Had been ill for more than 3 years. V total 9.7; Isthmus 2.4. V total 10.4; Isthmus 3.0. V total 7.4; Isthmus 3.0. V total 7.9; Isthmus 2.9. All the three treatment courses were 3 months long. 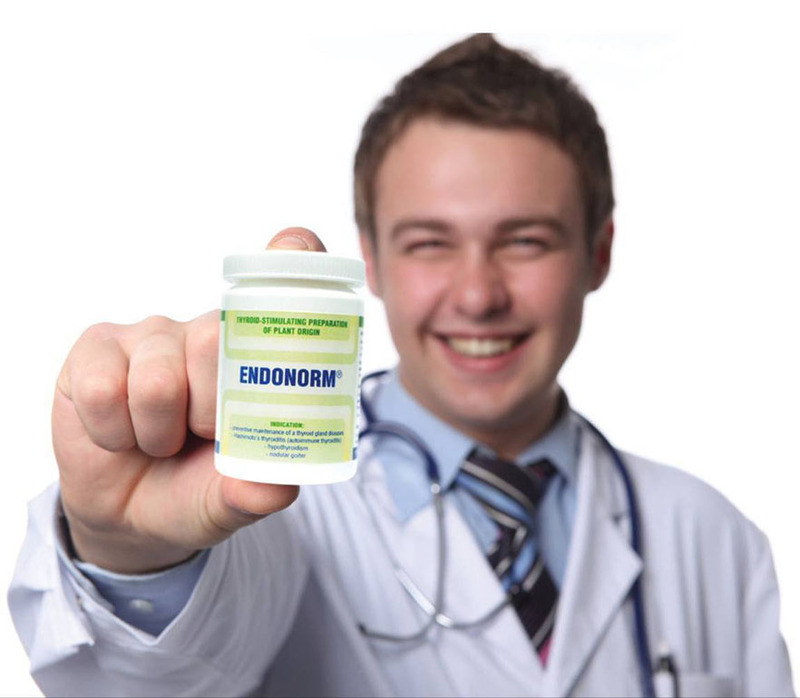 The first course of ENDONORM® therapy was given at the following dosage: 2 capsules three times per day, followed by 1 capsule three times per day. The completed studies have demonstrated that the original plant-derived medicine ENDONORM® exerts a favourable therapeutic effect in the treatment of many thyroid disorders, such as hypo- and hyperthyroidism, nodular and multinodular goitre, autoimmune thyroiditis. 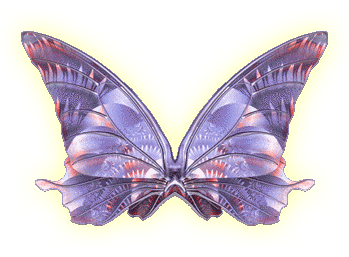 Besides, the drug was shown to be a highly effective means for the prevention of thyroid diseases. After the described treatment, all patients felt better. They were less irritable, had improved sleep, did not suffer from tremor (hand shaking) or cold limbs, and had increased capacity for work. Objective findings demonstrated that as soon as after 1 or 2 treatment courses the thyroid became smaller (in patients with diffuse goitre), while small nodules disappeared and large nodes had decreased dimensions, the blood hormone profile normalized (TSH, Т3, Т4, anti-thyroglobulin antibodies, anti-thyroid peroxidase antibodies), tachycardia was no more felt, blood pressure returned to normal, body weight stabilized, and the condition of the skin and skin appendages (hair and nails) improved. Since January 2009, the clinical studies of ENDONORM® have been performed at the Federal State Establishment Pyatigorsk State Scientific-Research Institute of Balneology of the Russian Federal Medico-Biological Agency under the supervision of Professor V. A. Mishagin. By August 2009, the impact of the drug had been studied in 92 patients with diagnoses of «nodular and multinodular euthyroid goitre». Obtained results demonstrate the high efficacy and safety of the plant-derived product ENDONORM® in the treatment of nodular (multinodular) euthyroid goitre, thus making ENDONORM® the only medicinal product available today for the treatment of these conditions. Additionally, the drug’s effects were investigated in 59 patients with hypothyroidism of various origins (autoimmune thyroiditis, endemic hypothyroidism, postoperative hypothyroidism). An analysis of data obtained in this study produced evidence of the efficacy of ENDONORM® in patients with hypothyroidism of various origins. At the current time, clinical studies of the efficacy of ENDONORM® in thyrotoxicosis and autoimmune thyroiditis are ongoing at the FSE Pyatigorsk State Scientific-Research Institute of Balneology of the Russian FMBA.